Mike Lauruhn works at Elsevier and uses text and data mining to help researchers measure their impact factor. More specifically, he wants to know if there is a link between using a database for Arabidopsis data and the likeliness of being cited. 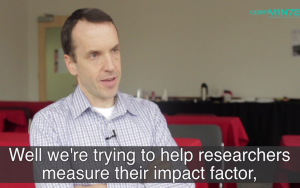 “We’re trying to help researchers measure their impact factor, using metrics. And more specifically, we’re trying to help our research partner organization, which is the TAIR group which deals with Arabidopsis data, to measure the impact of the researchers that actually use their service. 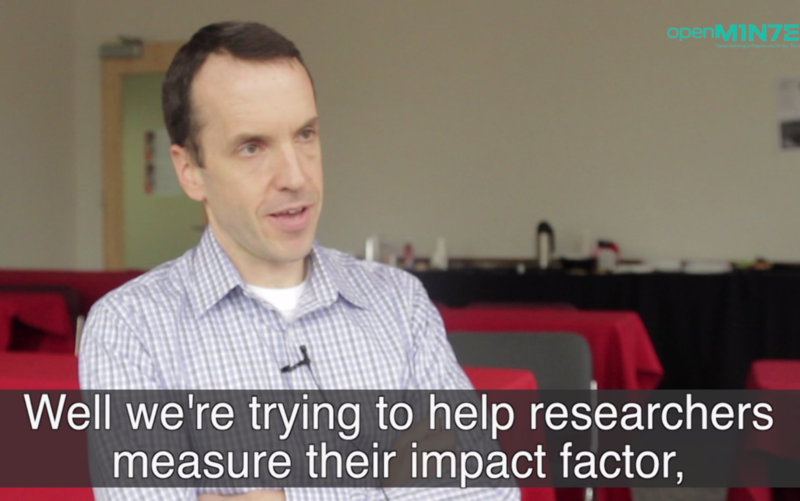 It’s kind of a two-fold approach to measuring impact. One: is the researcher being cited more often. But also: is this organization and its service providing a value to those researchers? Our research partner TAIR was able to provide us with curation data, which indicated which date an article was curated with their database. So ultimately we found that articles that were curated with TAIR were also cited more often in Scopus. So this is very positive feedback. Now we were able to compare articles that did appear in the TAIR database with articles that were quality articles that were yet to be entered into TAIR. Along with a set of Scopus articles that were loosely about the Arabidopsis plant, although may be not necessarily about the gene. And when we compared those three, we were able to determine that yes the articles that did appear in TAIR were cited more often. My hypothesis is that the better researchers are the ones who are doing explicit work with genes and that having that gene data represented explicitly within their text, does make them more likely to be cited.